Now that I've started using git, I've found myself using the command line a lot more for every-day tasks. My command shell of choice is Windows PowerShell, which is a lot more powerful than the antiquated cmd.exe. 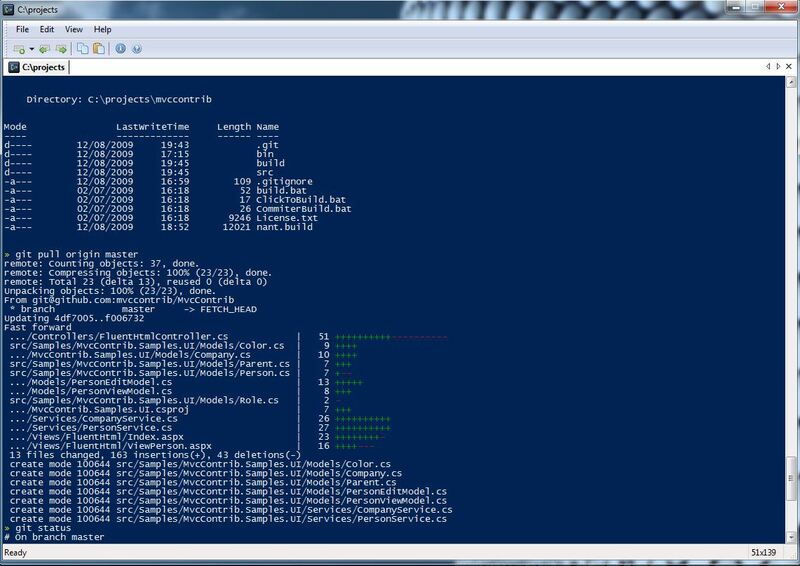 There are two tools that I've found make PowerShell significantly easier to use. The first is PowerTab which provides IntelliSense-like autocompletion for directory paths, PowerShell commands and .NET types. The second tool that I use is Console which is an application that can host a variety of shells including cmd.exe, bash and PowerShell. My two favourite features of Console are its improved copy/paste support and the ability to have tabbed shells.